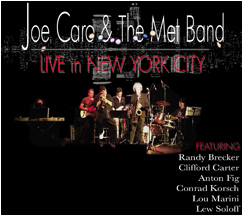 My latest CD, on Innsbrucks Records, is "Joe Caro and The Met Band Live In New York City" and includes originals and cover tunes The disc features Randy Brecker, Clifford Carter, Anton Fig, Conrad Korsch, Lou Marini and Lew Soloff. Available for download at Itunes, mastered for itunes (MFiT). 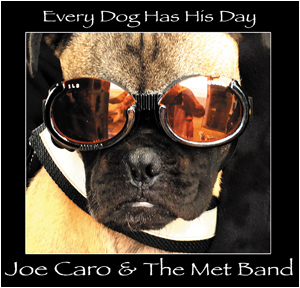 Visit JoeCaroAndTheMetBand.com. Welcome to my website, where you can learn a little more about my career as a sideman as well as a solo artist. 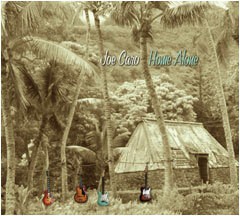 You can listen to selections from my latest CD "Home Alone" at the discography section. Don't forget to visit the The Tiki Hut where you can purchase CDs. You can also me at Facebook and watch my videos at Youtube.